Weaning with Jelly Bean is going amazing. 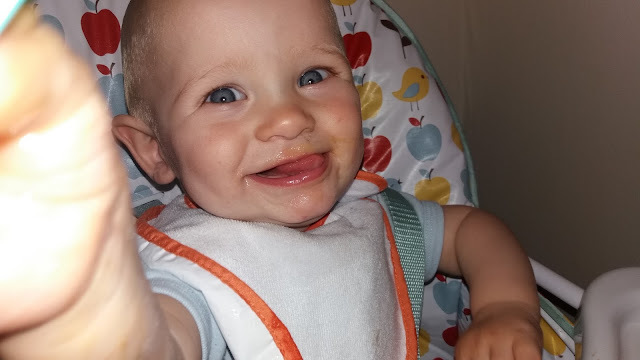 He loves his food and our combining pureed HiPP Organic food with a baby led weaning approach has seen him master lumps and be happy to tackle all kinds of foods and textures. 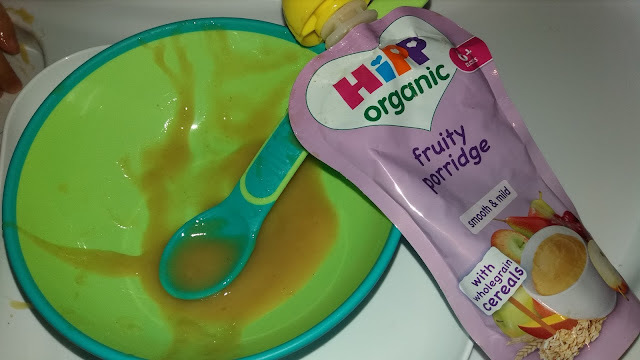 For the most part now he eats fingers foods, eating the same foods as his big brother, however his love of HiPP Organic fruit purees and puddings is still strong and he loves them for after meal treats and snacks. 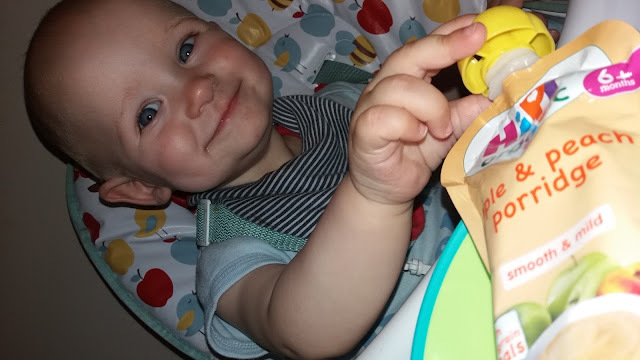 HiPP Organic pouches and jars are also often enjoyed by Jelly Bean when out and about on our family days out and adventures as they are so convenient. He also loves to have them, favouring them over finger food, when he is teething. As part of the HiPP Organic wean team we are privileged to try new HiPP Organic foods before they hit the shops. This month we were sent their new range of breakfast foods. 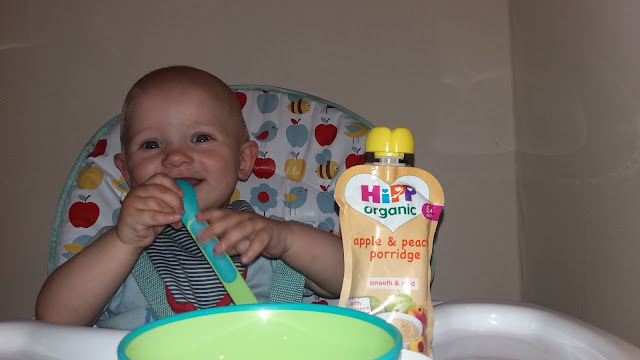 Jelly Bean has enjoyed the fruit filled porridge’s which thanks to HiPP are packed with optimum flavour as the fruits they use are given time to ripen naturally and are harvested at their plumpest and sweetest. The smooth and mild porridge pouches are made with a selection of special varieties of fruits and vegetables which are naturally low in acid content and high in nutrients. 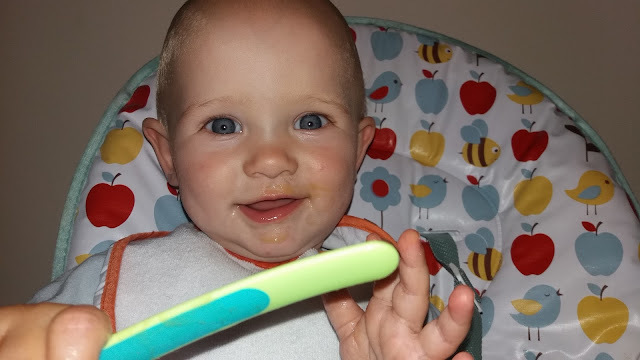 Thanks to being made with fruit and wholegrain cereals not only are they tasty for Jelly Bean but they also fill him up and give him energy ready for a day of playing, crawling, cruising along furniture and attempting to walk. I love the porridge pouches not only because they are made with organic goodness and wholegrain wholesomeness but because they are quick and convenient to use when the mornings are hectic and the school run is fast approaching or if we are rushing out for a fun family day out. 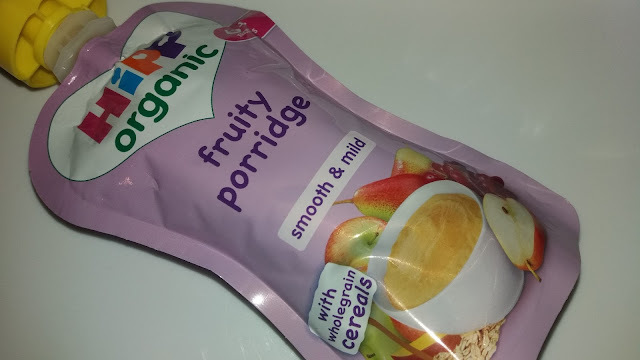 The HiPP Organic porridge pouches will be available from 1st June in Tesco and 13th June in Waitrose. 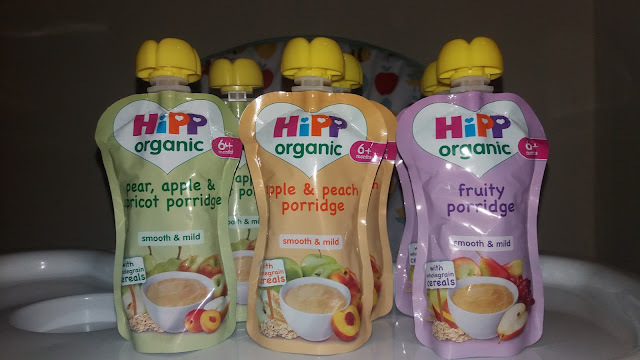 As well as the new range of HiPP Organic Porridge Pouches, HiPP are launching 2 new cereals aimed at little ones slightly older. 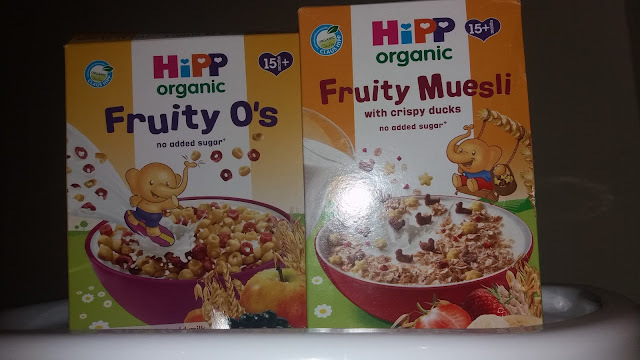 The new HiPP Organic Fruity O's and Fruity Muesli with Crispy Ducks are aimed at 15 months+ and come Claus Hipp's personal guarantee of organic goodness. The new cereals from HiPP contain no added sugar (just naturally occurring sugars) and are packed full of organic fruit and multigrains. Find out more about the new products from HiPP Organic as well as the rest of the range on their website. 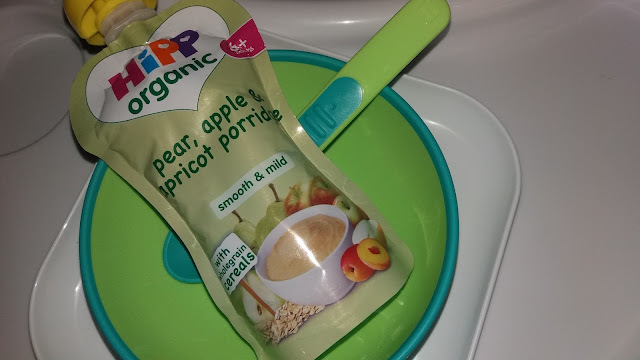 To celebrate the launch of the new HiPP Organic cereals and porridge pouches HiPP are offering my readers the chance to win a hamper of tasty HiPP Organic goodies which will include a selection of the new HiPP products. For the chance to win a hamper of HiPP Organic products (hampers will be created with products suitable for the age of the winner's little one) please complete the form below - good luck! Terms and conditions. Giveaway ends 19/6/16 and is open to UK residents. Winner will be randomly selected from all correctly completed entries and contacted by email. Giveaway hosted on behalf of HiPP Organic.Prize of a HiPP Organic hamper of products will be supplied directly from HiPP Organic. Porridge but she'll always steal some of my cereal! Porridge and fruit. He will also demolish peanut butter on toast. Porridge with fruit blended in. Cereal or peanut butter on toast. Toast with NOTHING on it at all, not even butter.